Antoinette (“Toni”) and Cheronne (“Ronnie”) set up appointments for clients who need psychotherapy, substance abuse treatment, or psychiatry. start your treatment. We will ask about your problem and your insurance. outpatient appointment for you while we have you on the phone. services to help with your problems. 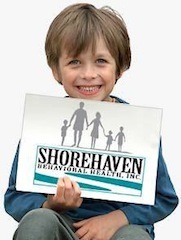 This entry was posted in Employment, Uncategorized and tagged appointment, in home, mental health, outpatient, problems, referral, services, therapy on November 24, 2013 by Shorehaven Behavioral Health.